Kitchens remain one of the high profile and high traffic areas in the home and as such, there is a need to add glamour and style to this space, even more than any other one. Their unique room in the home presents homeowners with the right platform to experiment, choosing the adequate hue, flavor, texture and other properties which define the essence of the room and the personality of the user. However, with the complexities of personalizing this space, picking colors for the kitchen may prove to be a daunting task and as such, it is important to get all the help you need while also consulting with your experienced painting contractor in the West Chester area for the best possible paint job. Want your kitchen to look trendy? Then there is a need to know the color trends which will match the needed glam for your kitchen space. Should you be lost on ideas as to how to make your kitchen look the most, speak to your painting contractor requesting advice on the color picks which will make everyone fall in love with your kitchen space. 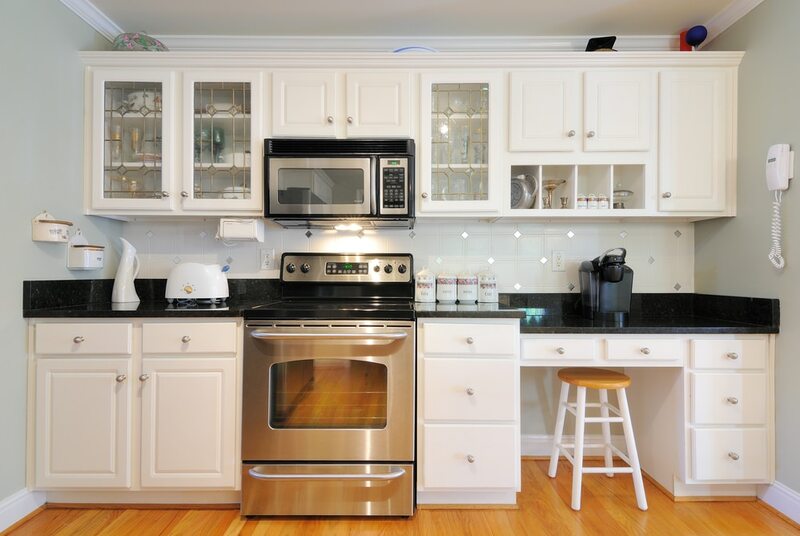 Be sure to let the kitchen grow into its own space before choosing the paint color. You might find yourself choosing a different color for the paint once the installations are done and this is perfectly okay as most often than not, the installations add to the beauty and as such, there is the need to choose colors which co-ordinate better with them. The materials in your kitchen play an important role in the overall outlook and as such, you do not want to end up with a paint color which is in total negation to the appliances and materials in your kitchen. Let the granite flooring or countertop influence the decision of the overall paint color. Most often than not, what makes a great kitchen painting job come out looking its best is in the coordination and flow which the paint color shares with appliances and other materials present in the space. Most often than not, choosing the bold color options may save you stress and also accentuate your kitchen space making it look more lively than ever. Should you be a little shy about the bold colors, an equally charming option will be the Neutral colors which are timeless and ad an aura of coolness to your kitchen space. Choosing a monochromatic color scheme may also be an essential part of making your kitchen space appear not only trendy but beautiful. In choosing the monochromatic layout for the paint job, be sure that the dominant color complements the second color choice which should be a slight difference between the bold and dominant color. When planning to use monochromatic color options, it is important to discuss this move with your painting contractor to arrive at the best result.